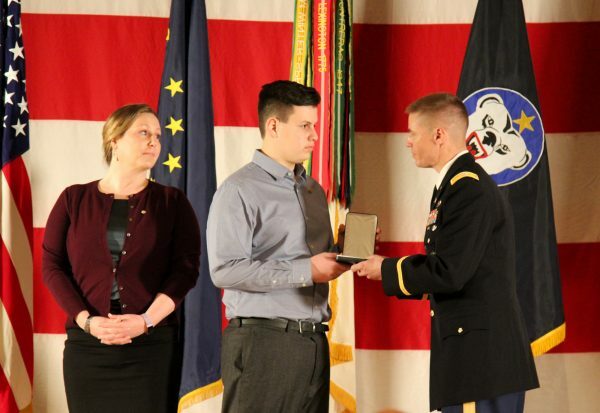 Anchorage’s Joint Base Elmendorf-Richardson hosted a rare medal ceremony on Saturday, as an Army Staff Sergeant posthumously received the Distinguished Service Cross. It is the branch’s second highest military award recognizing valor, and the commendation took years to approve — even an Act of Congress — to bestow. The recognition comes from Sgt. Justin Gallegos’ role in the 2009 Battle of Kamdesh in Afghanistan, when a small group of Army soldiers held off an ambush by around 300 Taliban fighters. Gallegos was one of eight American service members killed in the battle. Twenty-seven others were wounded. Lieutenant Colonel Matt Meyer told the audience of more than 600 hundred troops, survivors, and family members that Gallegos earned the Service Cross for repeatedly risking his life to protect and rescue comrades. Bestowing the Service Cross to Gallegos has been an uncommonly lengthy ordeal. Though the Battle of Kamdesh resulted in numerous awards for the soldiers that fought, including two Medals of Honor, it has taken years for Gallegos’ acts to be officially recognized through an upgrade from a Silver Star to the Service Cross. Sen. Lisa Murkowski said the process was so protracted in took on a life of its own in the capital. An amendment was added to the most recent National Defense Authorization Act, a change that had been taken up as a cause by the late Sen. John McCain. Because a posthumous medal upgrade like this one is so uncommon, there was no formal protocol for the ceremony. Through a network of supporters, the 4th Brigade Combat Team 25th Infantry Division and U.S. Army Alaska stepped up to host the event on short notice. Several of Gallegos’s fellow service-members flew to Alaska and were in attendance. Gallegos’s widow Amanda Marr and their 14-year-old son, MacAidan, live in Sutton and received the Service Cross on Saturday. 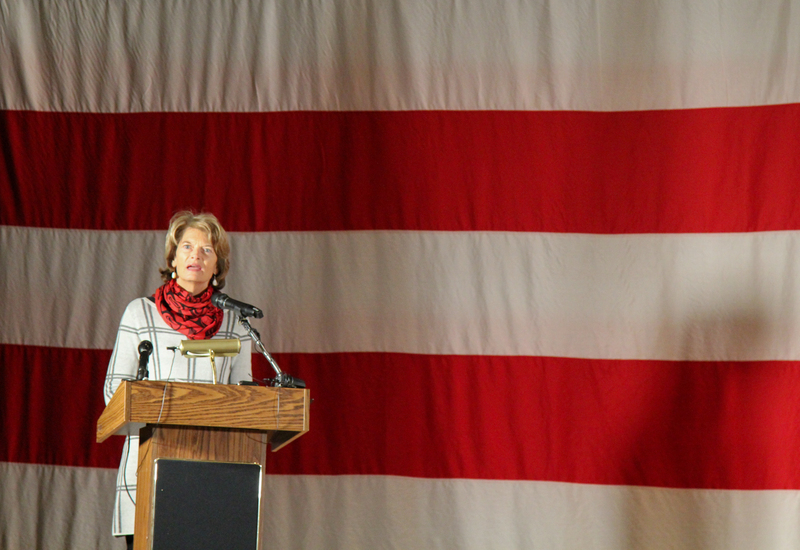 Marr says she’s touched by how the Alaska military units stepped in to honor her late husband as one of their own. Gallegos is the 16th recipient of the Service Cross from the U.S. war in Afghanistan. Next articleAsk an Economist: Why are Alaska oil prices higher than the Lower 48?